I make no apologies for liking the Mike’s Harder line of malt beverages. High alcohol content and no where near as sweet as other brands, they make for what I call a “get the party started” drink. I will often take one to a friend’s house and drink it before imbibing on any other adult beverages to give me that buzz right up front and even helps reduce how much I drink throughout the rest of the day/night. This particular flavor mixes a form of Passionfruit with lemonade, which is actually a good mix and not as sweet as I was expecting. 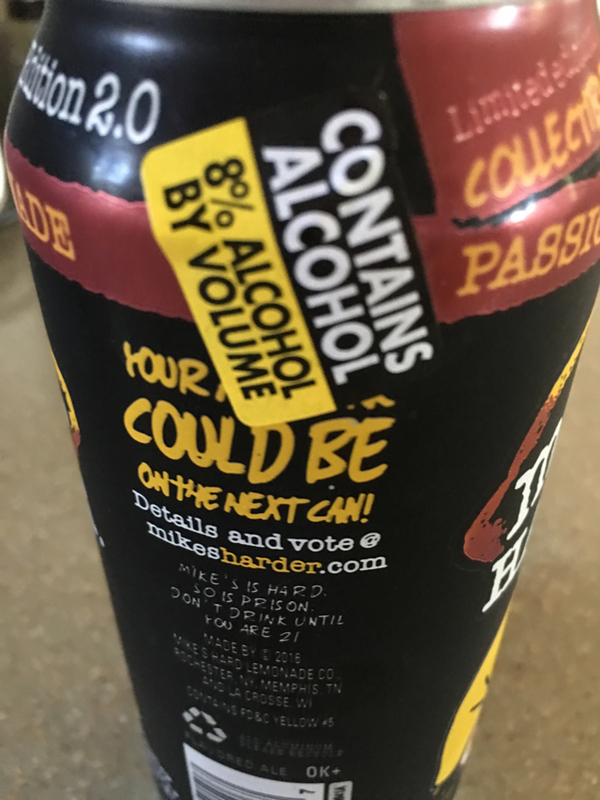 Plus at 8% ABV, it’s got that nice addition of extra alcohol over standard grocery store brands. Given that last caveat, these are not sold in grocery stores here in Utah, so I have to obtain them at the State Liquor Store, where they are stored warm and not ready to drink. And at $3 each, they are a good $1 more than the ones I find in Nevada or Idaho. 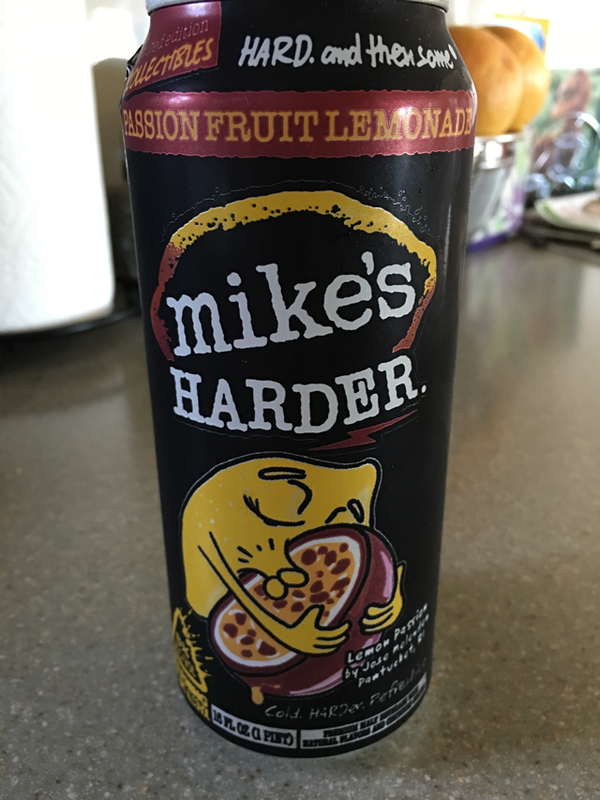 Hi glad you love this flavor of mike’s Harder, I’m the creator of the can design. Thank you. I love the can design. You did a great job.